President Buhari , who spoke on Tuesday in Yenagoa , the Bayelsa State capital, during the All Progressives Congress presidential campaign rally, said he was unrelenting in his pursuit of those who looted the nation’s resources. Addressing the crowd , Buhari said his administration despite the daunting challenges had been able to curtail the security issues in the North- East while the economy was on the way to becoming self - reliant. 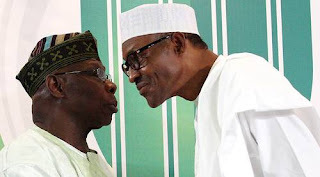 The Federal Government was reported to have spent N16 bn on power projects between 1999 and 2007 when Obasanjo was in government.